Let Out the Sunshine: a Montessori Approach to Creative Activities by Regina Reynolds Barnett for ages 2-6 uses a Montessori approach to doing art in a classroom (or home/home school) environment. It introduces various art materials and tools, and teaches simple, practical art and fine motor skills. There are a total of 45 Montessori art activities. The book is 170 pages long, spiral bound, with black and white photos. The book is intensive, with lots of reading material (65 pages to "read"). Few materials are needed for the activities, which is great if you are on a tight budget. I was highly impressed by the breadth of this book, the detail involved, and the simplicity of the activities that focus on developing art skills. Examples of activities: cutting mosaics; edge gluing; forming paper shapes (like cubes); modeling with dough; using melted crayon; and painting with various objects like paper clips and spoons. Each activity has two stages of extensions (for older children) like making a mobile and a wreath, stitching shapes together, quilling, and making puppet heads and papier mache animals. How to use this book: First, give yourself a reading assignment! There are around 65 pages to read so allow a week or so to read through the first portion of the book. Then prepare to do the activities in in order (in sequence)... as recommended by the author. That means looking over what materials you need to have on hand. When you are ready to begin, map out how many art activities you want to introduce per week and over how many months. For example, if you want to do the art over a 12-week period that means doing 3 or 4 activities per week. Trying to follow the directions verbatim for the activities in Sunshine can became a challenge. It's my main issue with the book. So I used a wing it attitude: rather than try and follow the directions word for word, I tried to get an overall sense of the activity, the materials needed, and what I had on hand, and so forth, and not worry about all those details! I wanted to make art fun and easy for me and my son and not get so technical. 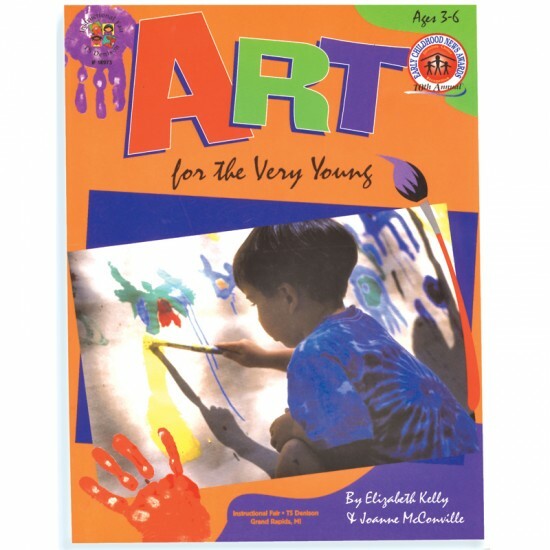 Art for the Very Young by Elizabeth Kelly & Joanne McConville is for ages 3-6 (and I would include ages 2-3). There are a total of 60 art (and some sensorial) activities in the book. The book is 128 pages long with small, black and white drawings. The subject matter is less intensive than Let Out the Sunshine but it has more of a variety of activities in which more materials are needed, typically. The book has eight sections that focus on the following elements: line, shape, color, space, form, texture, value, and composition. Each section, and most of the activities, site artists who "exemplify those elements" introduced in the book, and in some cases, show how to integrate art appreciation with other disciplines, like math and science.There is a one-page introduction for each section of the book, and there are three major themes in each section: children should look at and talk about art; children should have ample opportunities to create art; and children need to become aware of art in their every day lives. The goal of the book is to "have the children learn to see things differently, look more closely at artwork, and enjoy creative experiences." I was really excited about the variety of the fun activities in this book, and I liked how they were grouped together by element so that the child can learn about (have a "sensorial" experience of) these artistic elements. There are also children's picture books, and in some cases, books about a certain artist, sited throughout the book that you can get from the library. Examples of activities by section: make a painted foot path (line section); tissue paper shapes, squeezing shapes--sensorial (shape section); ice cube painting, rainbow curtain--sensorial (color section); painting negative space (space section); free form bag sculpture, stuffed feet--sensorial (form section); milk paintings, cave art (texture section); and multicultural faces, drip and spread (value section). How to use this book: Sticking with our 12-week example, you can choose to do one or two activities per week, from each section of the book (there are any where from five to 12 activities per section). This means you will have a choice of what activities you want to do in each section. All in all I am VERY HAPPY with these books! If you have to choose only one, good luck! They could not be any more different from each other! It might boil down to how much time you can devote to doing art projects throughout the week! If you can only do one or two per week, choose Art for the Very Young, if you can do three or four per week, choose Sunshine. If you have a two-year-old or a young three-year-old I recommend both books so you will get to do more activities since having only one of the books will limit how many age-appropriate activities you can do. 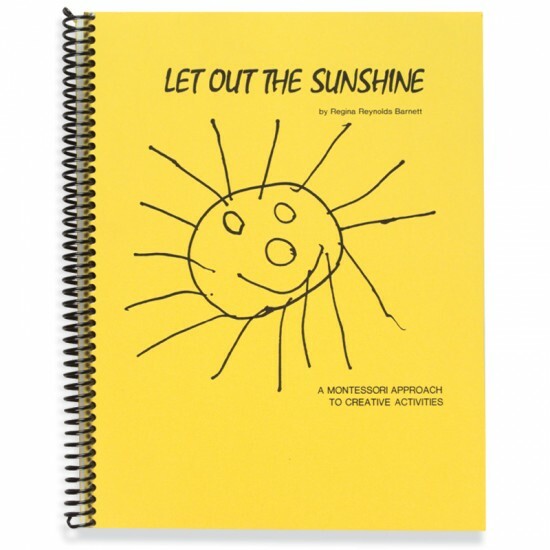 Let Out the Sunshine: a Montessori Approach to Creative Activities Item #A105 (MontessoriServices.com); Art for the Very Young (buy on Amazon.com). Please note: I received free copies of these books from Montessori Services, and with whom I am also an affiliate. I get a small commission if you make a purchase from the links provided. Thank you! Want more art? Check out my Introduction to Montessori Art, Music, and Poetry Plus Planner ebook and my other art blog posts here and here!